As usual, I was cruising Craigslist and came across this set last night. I noticed it had been on Craigslist for a couple days, and I thought I would just check to see if they still had it. I assumed since it had been on there for two days that someone would have snatched it. We got a call this morning from the owner who stated she still had it. We jumped in the car and shot on over. The thing that drew us to this bar are the cut outs in the front. The owner said it used to have colored plexiglass that was lit from behind. She said it was amazing when it was lit. This bar will need a 100 point restoration. 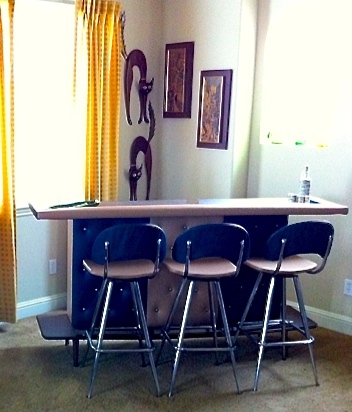 Since the Formica is chipped, I plan to redo the formica in black. 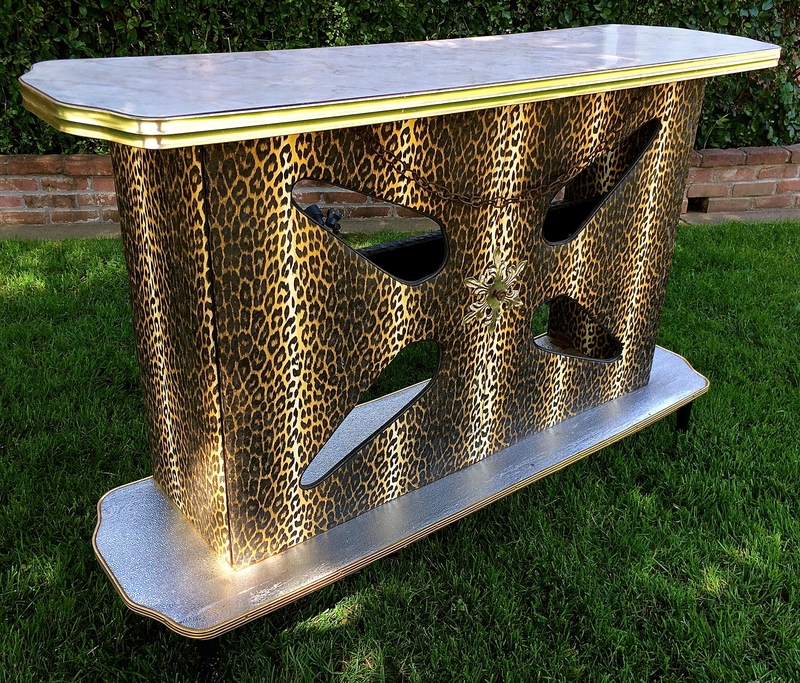 That will go better with the animal print vinyl instead of the faux marble top. 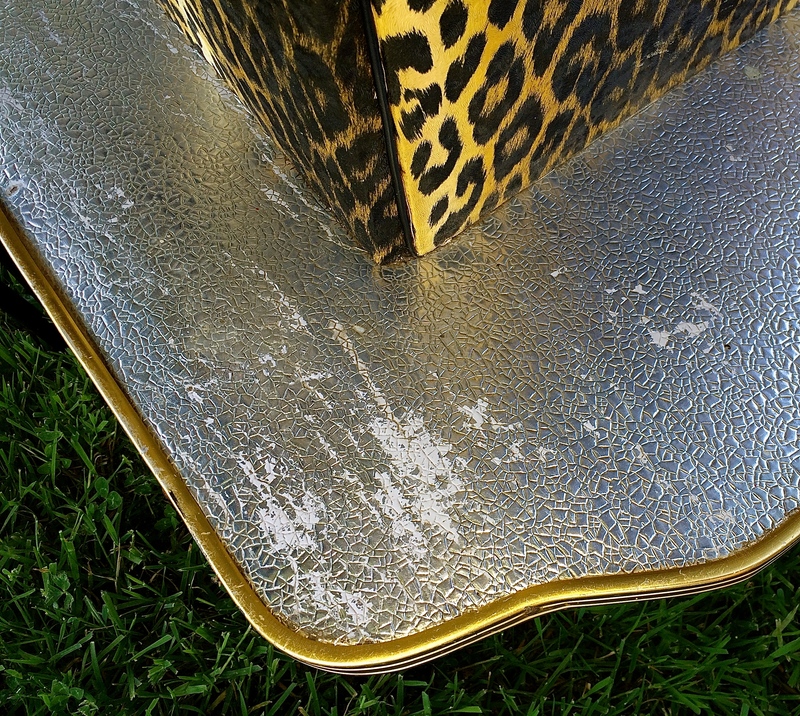 I also plan to replace the silverfish finish on the foot rest area with black formica. I might have to reinforce the bottom as well. The shelf is at an angle so the alcohol labels can face up towards you, cool idea! This bar has this cool little ornament on the front with a small chain draped across the front. I am pretty sure these are Frederick Weinberg from what I could research online. 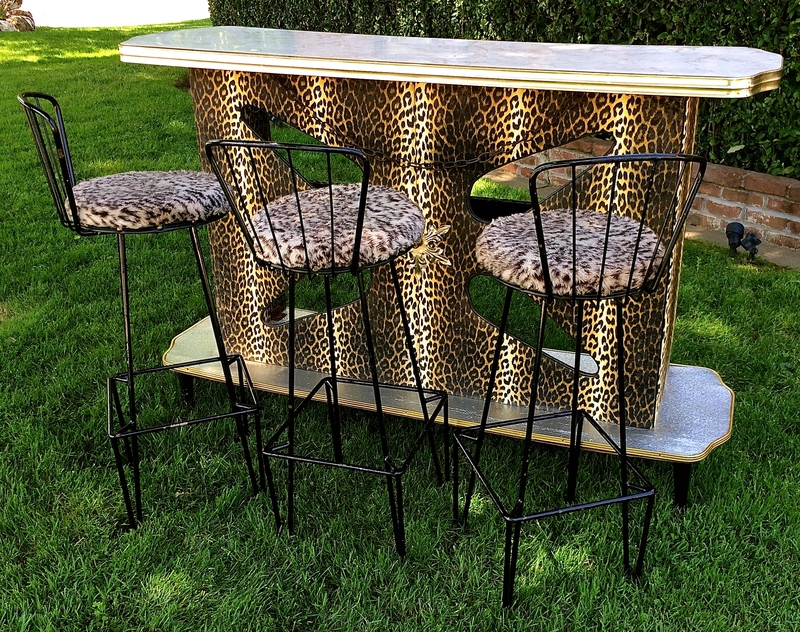 These stools don’t match the bar very well with the animal pattern they have on them now. 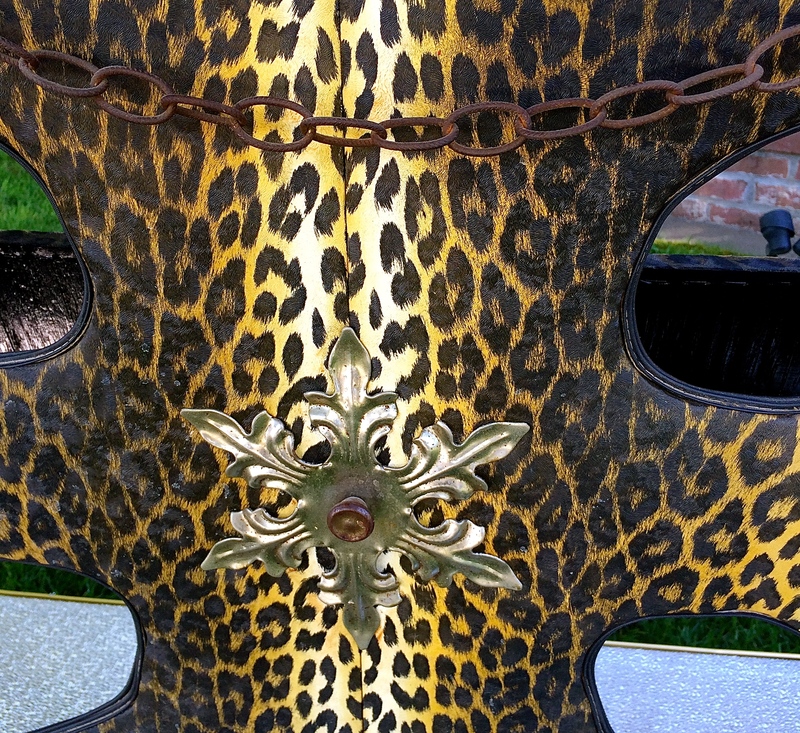 I will try to find a similar cheetah pattern to recover the seats in. 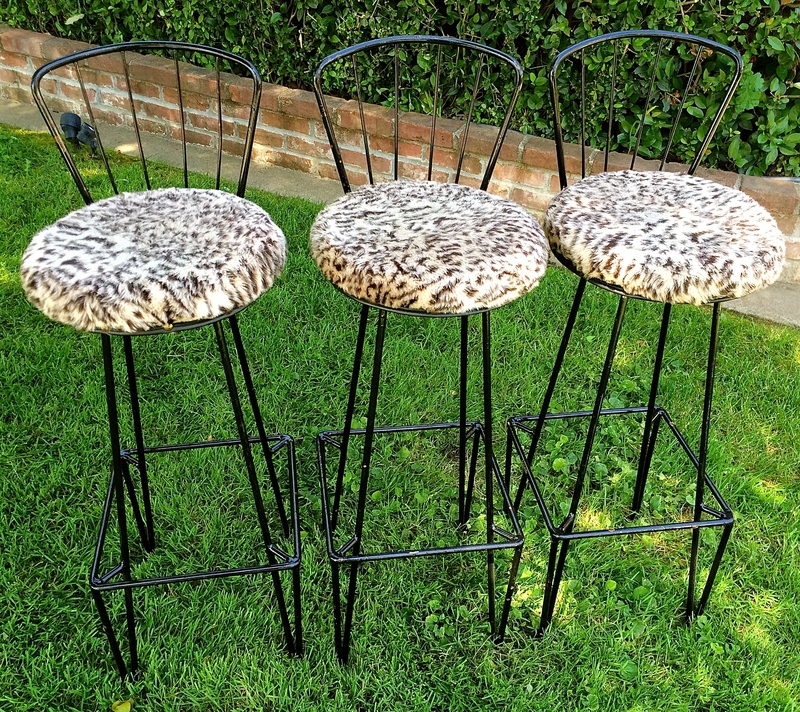 This bar and stool set is now my next project. I am excited to see how it turns out. 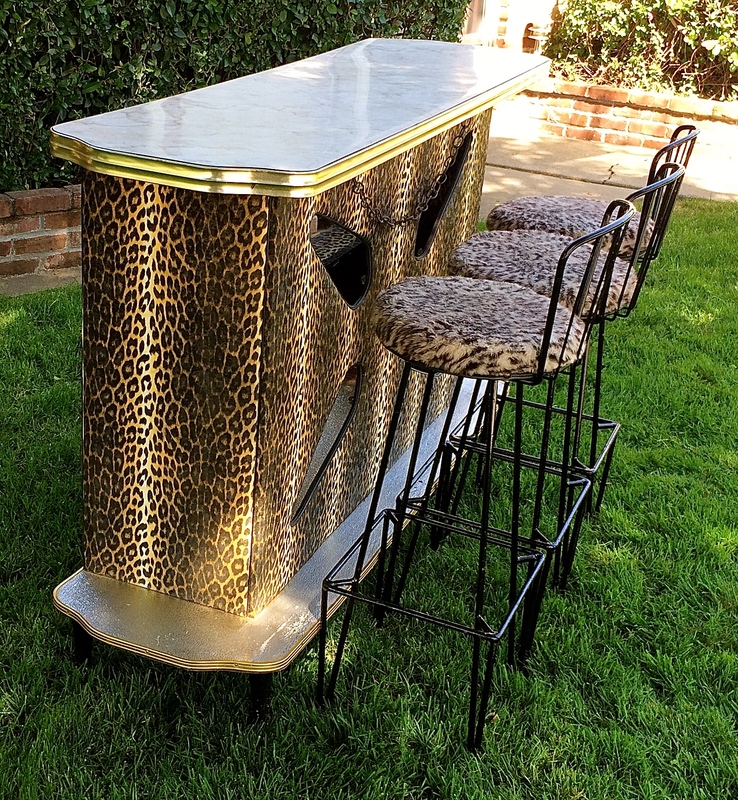 We have a bar in our living room that will be put into the shop since we snagged this one. We try to upgrade our collection as we go along. 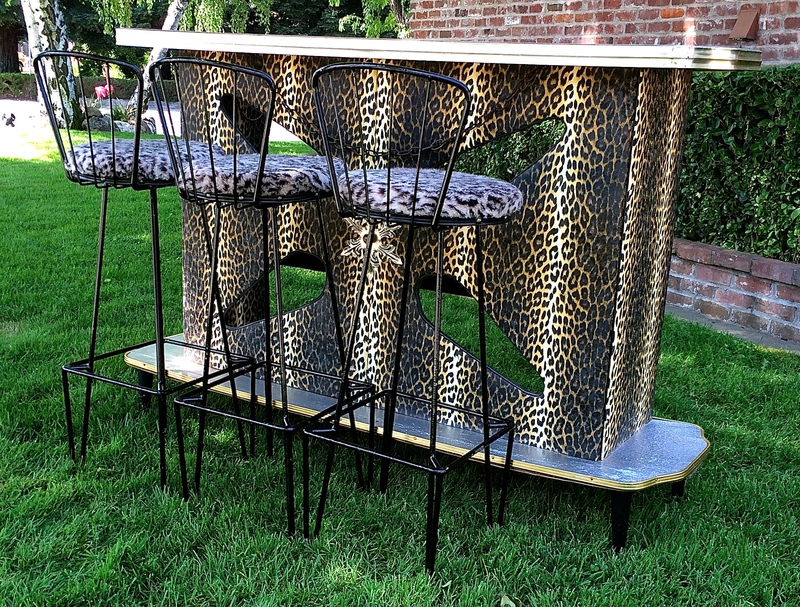 This bar will make someone very happy, I am sure. It has served us well. Below are the bars we have owned over the years. This swanky diamond bar was so cool with it’s two tier top. It had such an atomic feel to it. This is now sold. This bar is the ultra rare Expando bar. 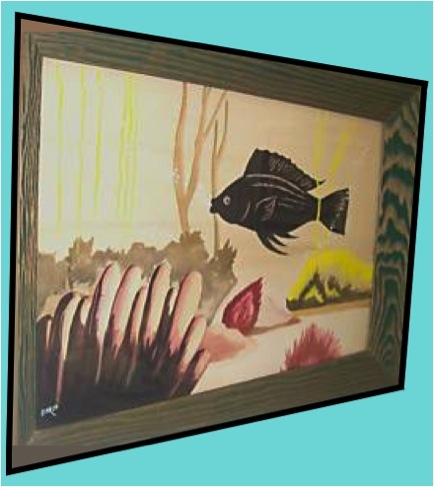 We sold it recently to a lady in L.A. She was so pleased to get it. 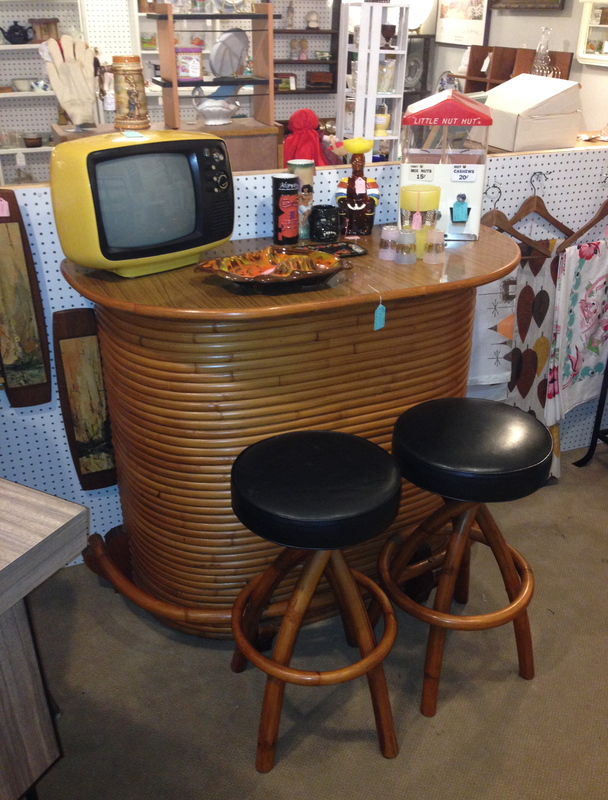 We sold this 1963 Tropical Sun Company tiki bar at our grand opening, it sold in less than an hour! This Art Deco bar was fantastic! 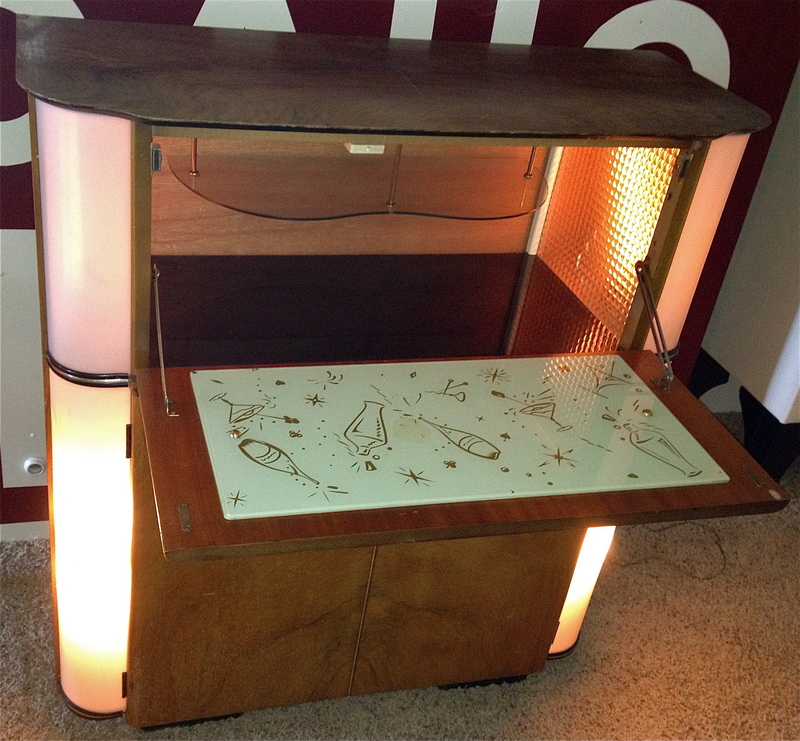 It reminded us of an early jukebox because of how the front corners lighted up when the door was opened. This is now sold. 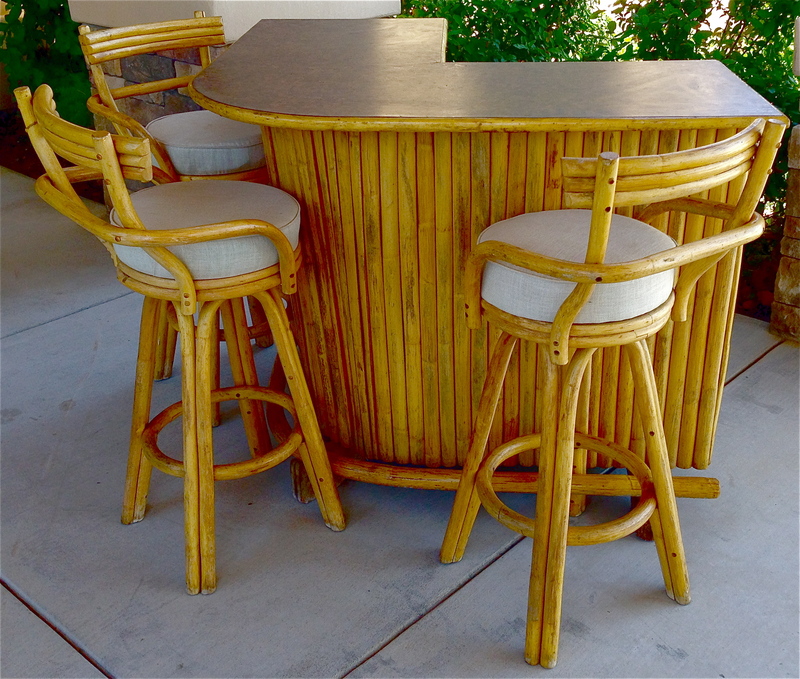 This wrap round bamboo bar didn’t last long in our booth. It has such cool simplicity too it. This aqua bar was so awesome. We drove all the way to Fresno to get it. 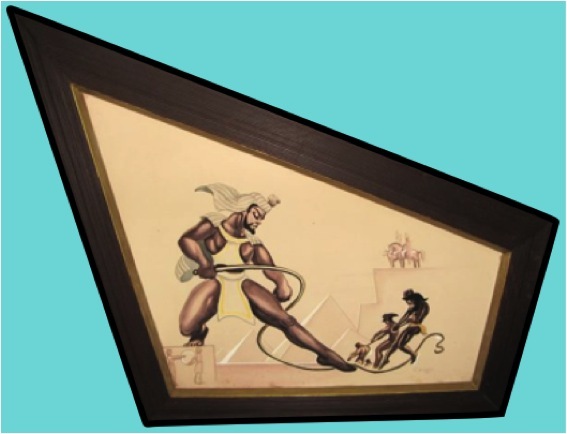 Now it is in someones home being enjoyed! This is just a swanky 70’s bar. It’s now sold. 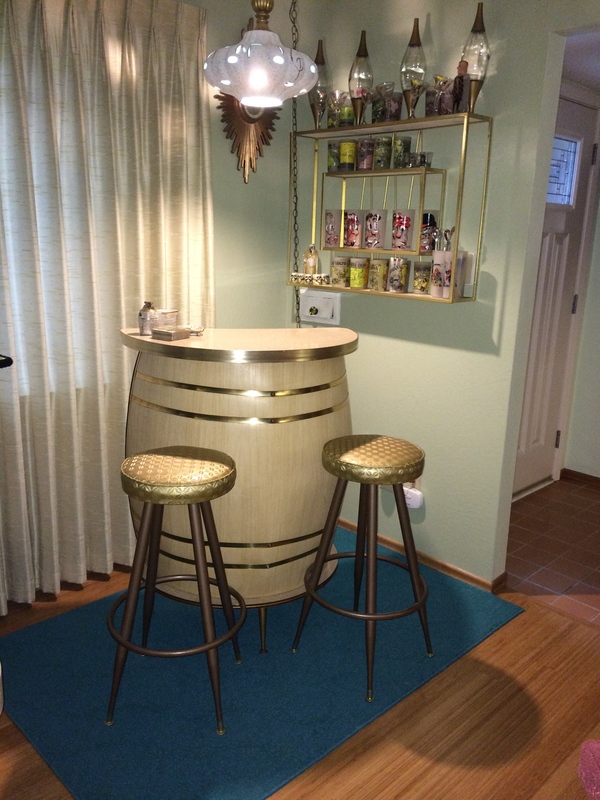 This tiki bar has already sold. 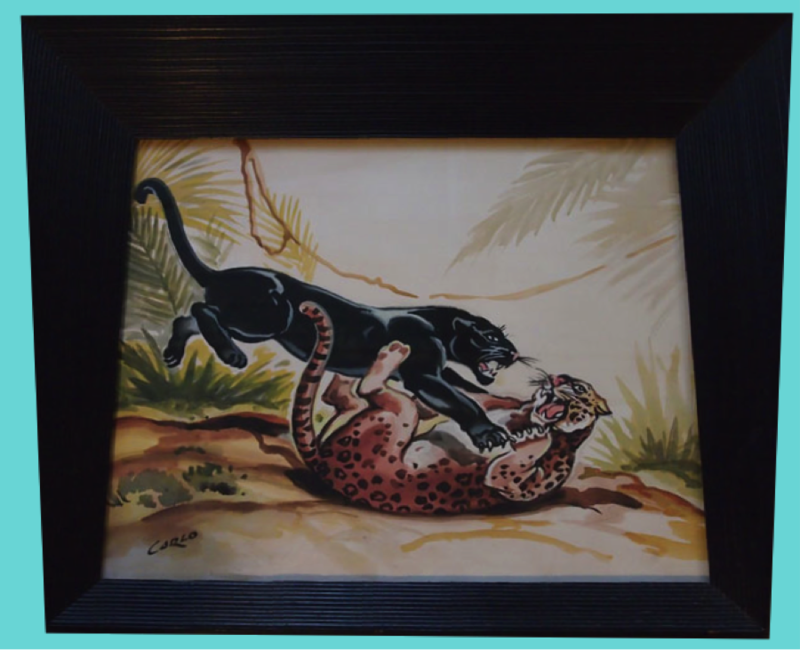 We think it might have been a Paul Frankl, but we could not substantiate it’s pedigree. 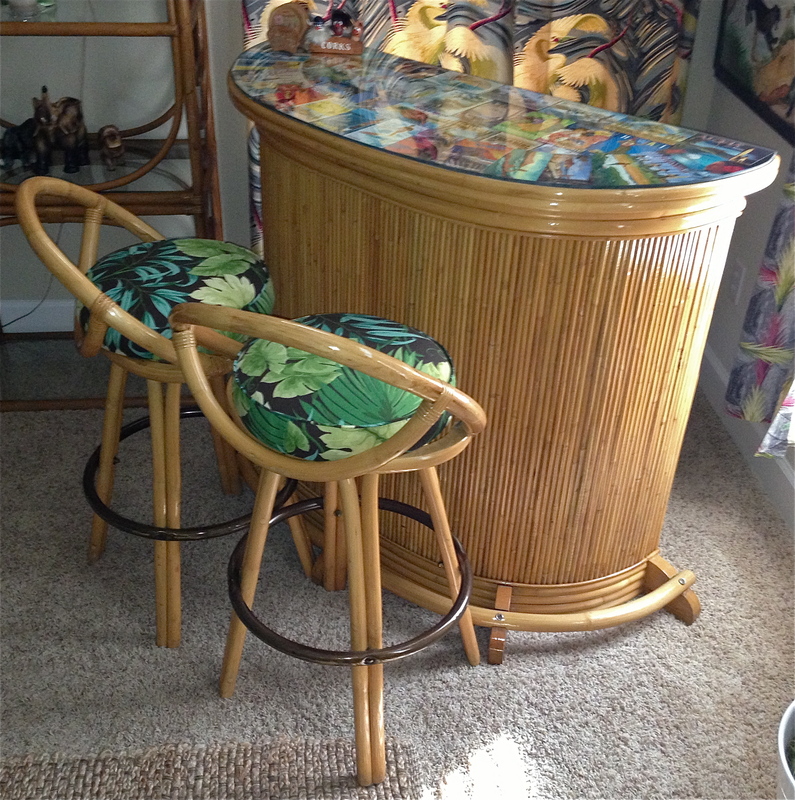 This Tiki bar is currently in the process of being restored and will be in our shop sometime soon. Here is the grand server that we still own and use today! 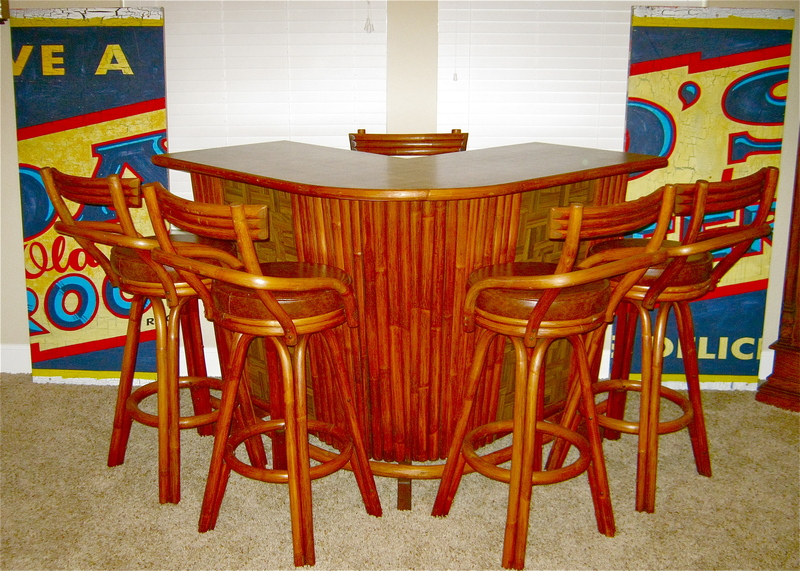 This is the first bar we ever bought and restored. We purchased this one in the early 2000’s (sorry for quality of picture). 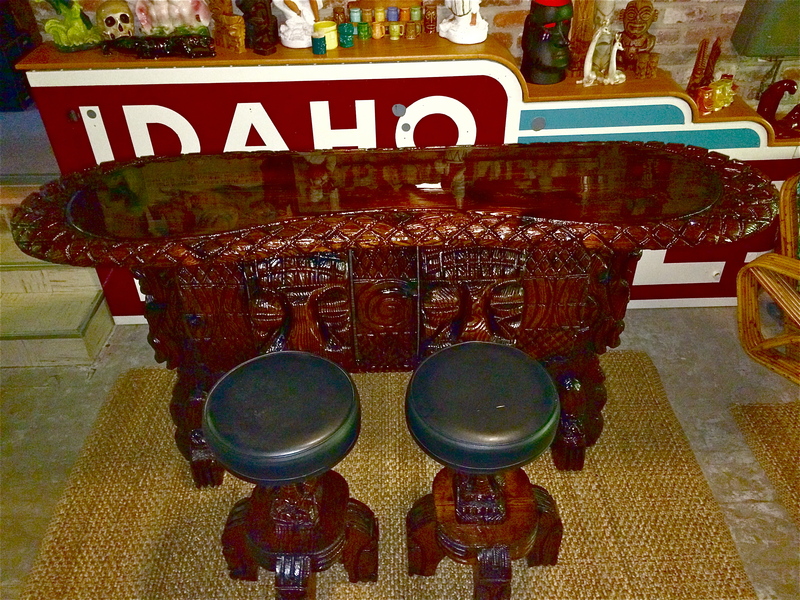 Of course our beloved and rare Witco Tahiti Bar that we will be buried with, ha ha. 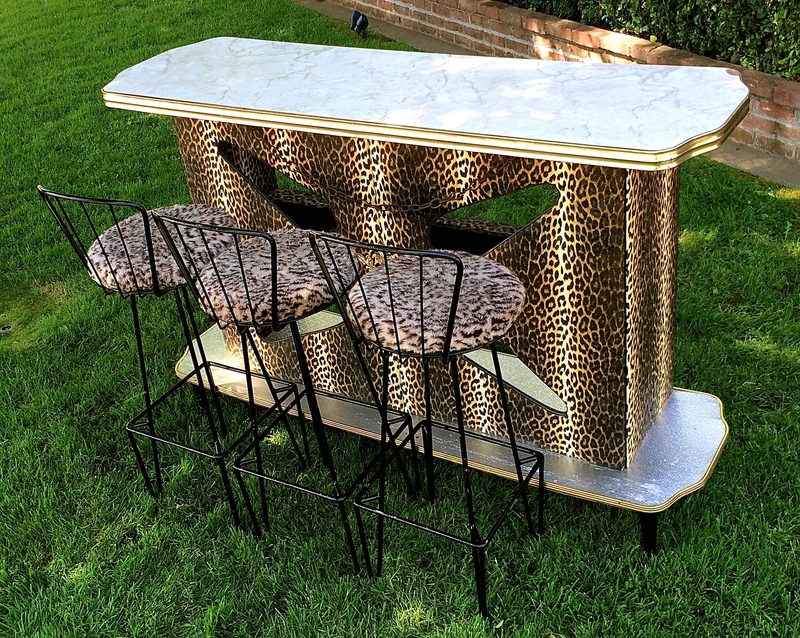 We think a bar is a necessary piece to have in a home for entertaining. 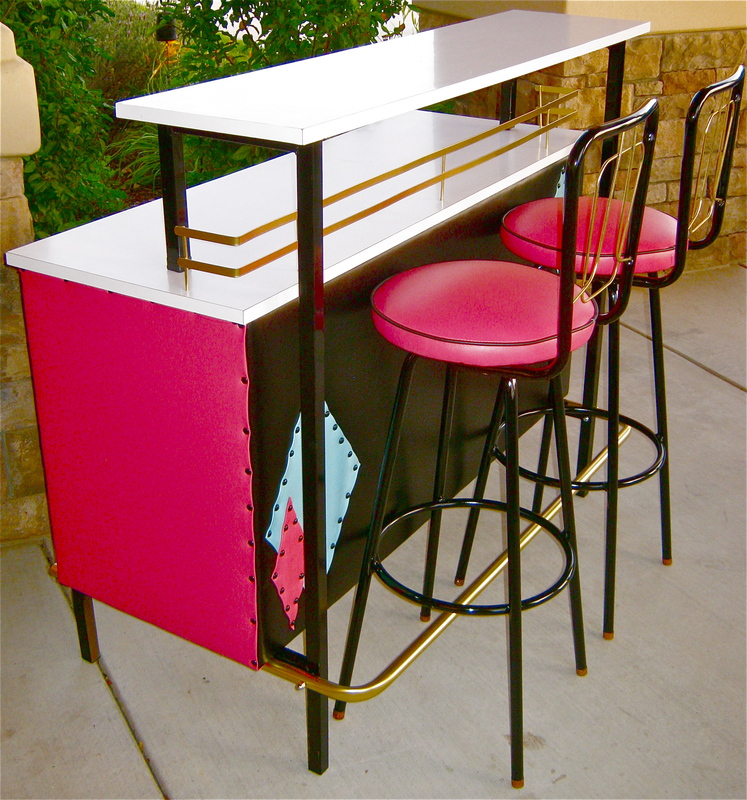 We think society needs more reasons to socialize with neighbors and friends, and what a better way to do it than sipping a drink at your own bar. 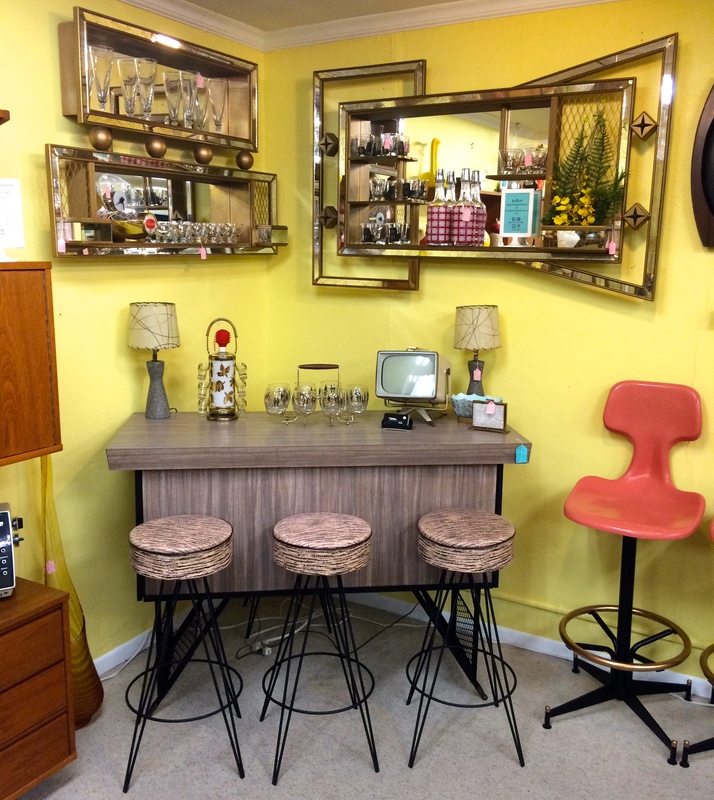 Posted in Frederick Weinberg, Restorations and tagged 1950's bar stools, 1950's stools, 1960's bar, 1960's bar stools, 1960's barstools, 1960's stools, 50's bar, 50's stools, 60's bar, 60's stools, 70's bar, A.H. Stock, a.h. stock manufacturing company - grand server boomerang table/bar, AH Stock, ah stock manufacturing co: grand server, AH Stock Manufacturing Company, AH Stock Manufacturing Corporation, aloha, am stock grand server, AM Stock Manufacturing Company, AM Stock Manufacturing Corp., AM Stock Manufacturing Corporation, atomic bamboo, atomic bar, atomic bar restoration, atomic bar revamp, atomic bar stools, atomic barstools, atomic diamond bar, atomic formica bar, atomic rattan, atomic revamp, atomic stools, atomic tiki, Bamboo, bamboo bar, bamboo tiki bar, bar, bar restoration, bar revamp, bar stools, barstools, bill westenhaver, boomerang coffee table, boomerang shaped, carved tiki, carved wood, carved wood bar, Dee Manufacturing Corp, Dee Manufacturing Corporation, Dee Mfg Corp, Dee Mfg Corporation, diamond bar, formica bar, grand server, grand server bar, grand server by ah stock, grand server by am stock, grand server coffee table, grand server stock, grand server table, grand server table and bar, grand servers table, grande server table and bar, grandserver, Hawaiian Bar, hide a bar, hula, kidney coffee table, kidney shaped, kitch tiki, kitsch bar, kitsch bar restoration, kitsch rattan, kitsch revamp, kitsch tiki, kitschy bar, kitschy tiki, mcm bamboo, mcm bar restoration, mcm bar revamp, mcm formica bar, mcm rattan, mid century bamboo, mid century bar, mid century bar restoration, mid century bar revamp, mid century bar stools, mid century barstools, mid century diamond bar, mid century formica bar, mid century rattan, mid century stools, mid century tiki, mid century tiki bar, midcentury bamboo, midcentury bar, midcentury bar restoration, midcentury bar revamp, midcentury barstools, midcentury diamond bar, midcentury formica bar, midcentury rattan, midcentury stools, midcentury tiki, rattan bar, rattan tiki bar, retro bamboo, retro bar, retro bar restoration, retro bar revamp, retro bar stools, retro barstools, retro diamond bar, retro formica bar, retro rattan, retro revamp, retro stock grand server, retro stools, retro tiki, retro tiki bar, stock grand server, stock manufacturing grand server, stools, tahiti bar, tiki, Tiki bar, tiki barware, tiki culture, tiki furniture, tiki god, tiki style, Tropical Sun Co, Tropical Sun Company, vintage bamboo, vintage bar, vintage bar restoration, vintage bar revamp, vintage bar stools, vintage barstools, vintage diamond bar, vintage formica bar, vintage grand server, vintage rattan, vintage revamp, vintage stools, vintage tiki, vintage tiki bar, Western International Trading Company, William Westenhaver, witco, witco bar, witco corporation, Witco Decor, Witco Furniture, witco tahiti bar, witco tiki. Bookmark the permalink. 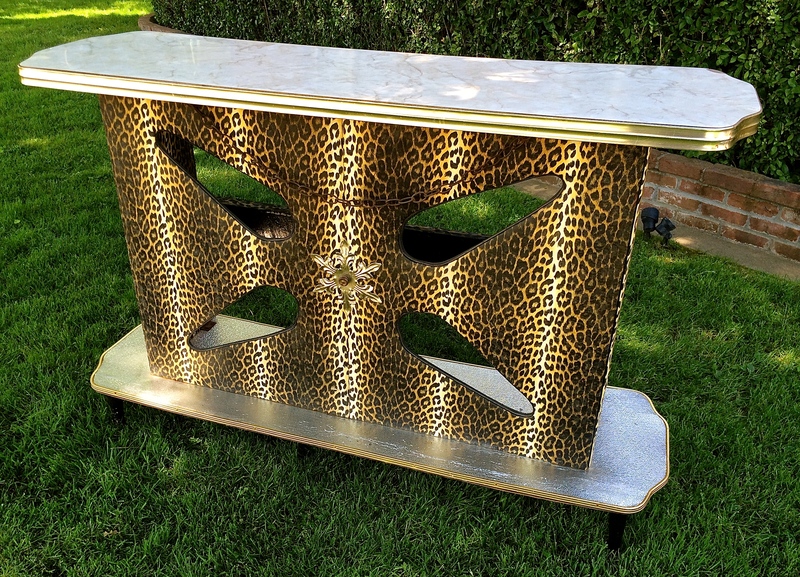 It looks like a cool old coffee table….but wait…. wait just a little longer…. 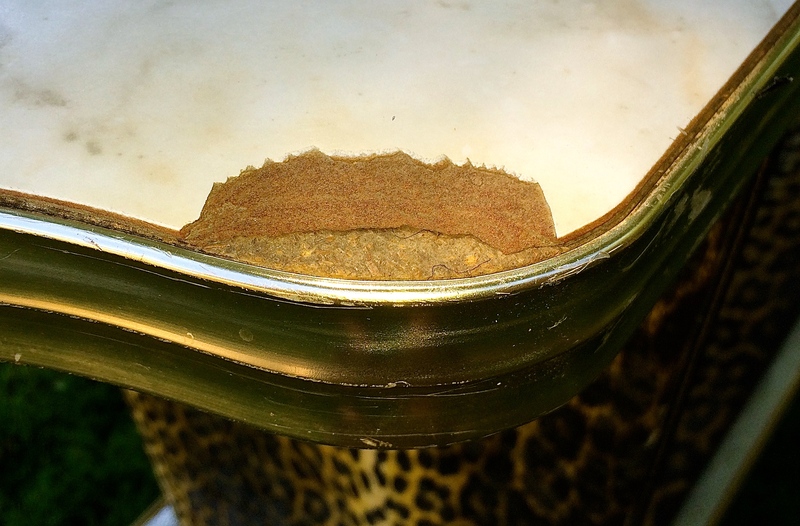 So this is who I can thank…….thank you soooo much! 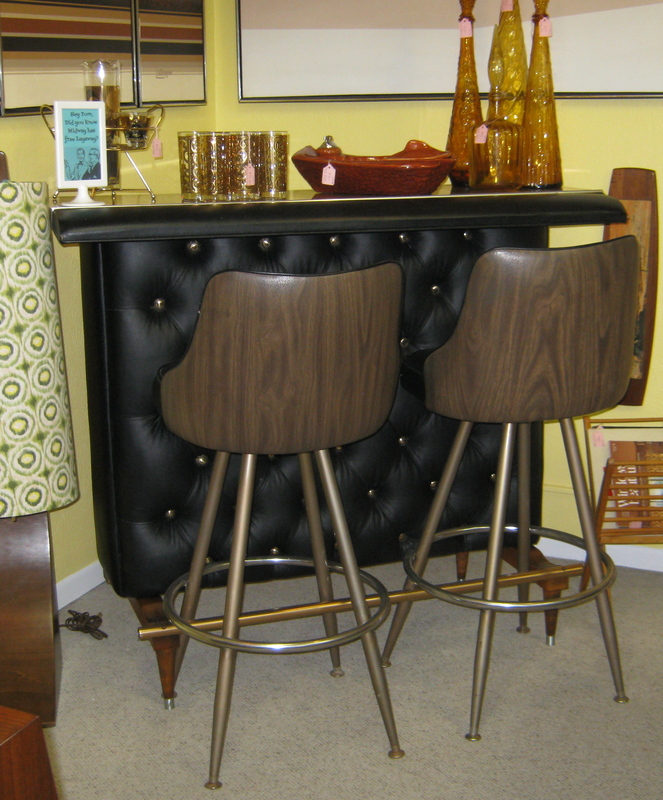 This wonderful table was manufactured by A.H. Stock Manufacturing Corp. of Newton, Wisconsin, and is called the “Grand Server”. The title hits it on the head. Say you are throwing a dinner party and you need to spice things up. 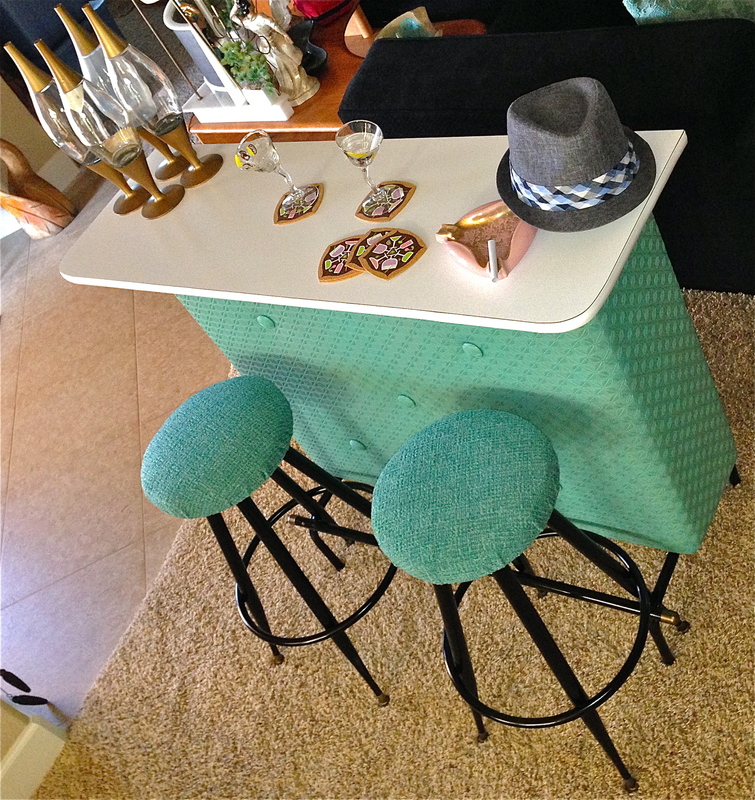 All you do is walk over, slide the top back and crack open your favorite spirits and presto instant party maker! Melody and I purchased this off of Craigslist awhile ago. We really love its kidney shape and the ultra comic white fabric that wraps around it. 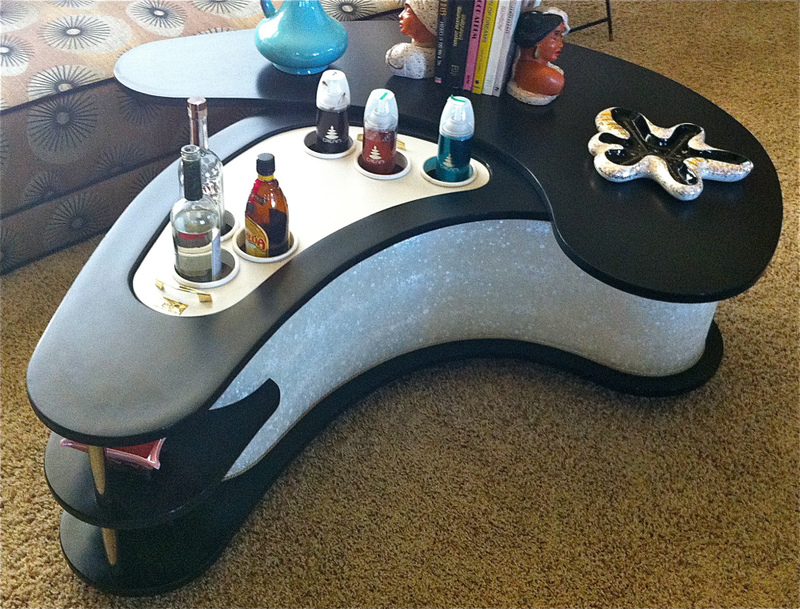 This table even has a hidden compartment to hide some other party makers. Posted in The Makin's Of Our Pad and tagged A.H. Stock, a.h. stock manufacturing company - grand server boomerang table/bar, AH Stock, ah stock manufacturing co: grand server, AH Stock Manufacturing Company, AH Stock Manufacturing Corporation, am stock grand server, AM Stock Manufacturing Company, AM Stock Manufacturing Corp., AM Stock Manufacturing Corporation, boomerang coffee table, boomerang shaped, grand server, grand server bar, grand server by ah stock, grand server by am stock, grand server coffee table, grand server stock, grand server table, grand server table and bar, grand servers table, grande server table and bar, grandserver, hide a bar, kidney coffee table, kidney shaped, retro stock grand server, stock grand server, stock manufacturing grand server, vintage grand server. Bookmark the permalink. Today was a hard day for our small family. Our little man Kozmo finally succumbed to his severe heart murmur. We were lucky enough to have him join our family six years ago. He was a shelter rescue. It is NEVER easy having to make the decision to put down your loved one, but it is about quality of life. We will miss his high energy and how he would spin in circles when he would get excited. He was such a lover and I can honestly say we never had to discipline him, ever! He was obedient and loyal. He enjoyed watching tv and loved to sun bathe. From day one he was always trying to get belly rubs and was usually successful. He would stay close to Autumn and snuggle with her. Losing him leaves a hole in all of us. It will take time to heal, but we would not change a thing. He was a blessing. I heard somewhere that when we die we will be reunited with our loved ones. Mel and I have had so many terrific pets that we have lost to disease, and if it is true we will be reunited with all our beautiful pets to include our little man Kozmo. God bless you little man. We’re asking for donations to the Sacramento SPCA in honor of Kozmo. You can make donations on our Facebook page.